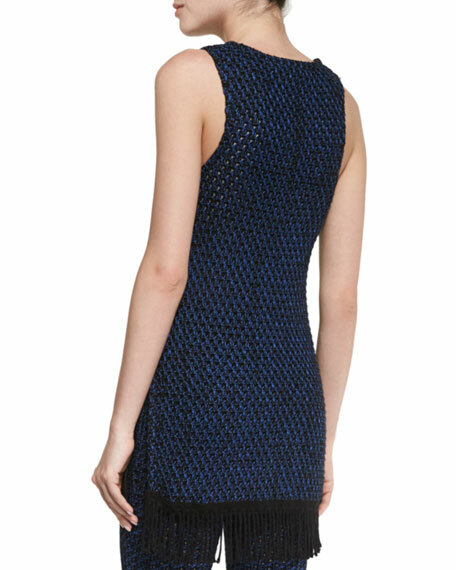 N Nicholas bicolor open-knit tunic with fringe hem. Approx. length: 30"L from shoulder to hem, 33"L down center back. For in-store inquiries, use sku #1833561.